Common plumbing problems can turn into complex plumbing emergencies if they’re not dealt with immediately. 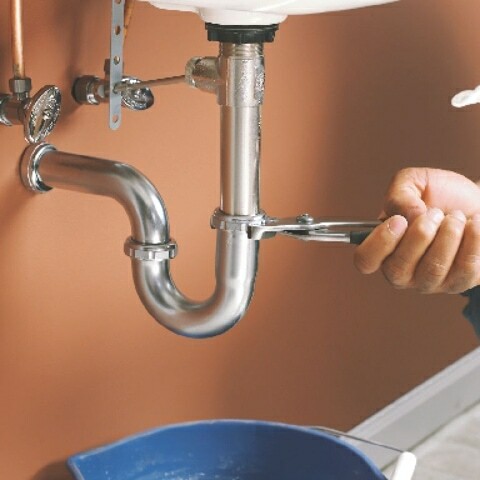 Luckily, homeowners can take steps to prevent and repair clogged drains, frozen pipes, and other plumbing pitfalls. 1) Know how to shut off the water. Every inhabitant should know where the main water valve is located. This controls the flow of water as it comes into the house. By turning off the water at the main valve, you can avoid a burst pipe, overflowing tub or other emergency. 2) Avoid frozen pipes. Frozen pipes can cause flooding and significant structural damage to your house. Avoid disaster by making sure the temperature inside your house never drops below 55º. Look for air leaks around electrical wiring and pipes, and use caulk or insulation to seal them. Insulating the pipes in your crawl spaces and attic can also help prevent them from freezing. 3) Keep grease out. Grease and oil can build up in pipes and cause backups in your home. Instead of pouring it down the drain, let cooking oil or grease cool and then throw it in the trash—or better yet, see if your municipality recycles it. 4) Stop hair from going down the drain. When hair escapes down the drain, it often becomes tangled and stuck together. It then acts as a barrier, keeping water from traveling smoothly down the pipes. Screened drain covers are an inexpensive way to avoid this. Buy one and clean it off regularly. 5) Avoid drain cleaners. They often contain corrosive chemicals that are harmful to pipes—and people. They also can kill the “good bacteria” your septic system needs to operate effectively. If you have a clogged drain, don’t risk damaging your plumbing system by using a drain cleaner; instead, arrange for an AHS service contractor to take a look at it.